The G8 Young community values current “intelligence” that is best evidenced by the speed of text messaging. The more each delegate can quickly bring to the table, the better. The delegates used their mobile device to vote! And this is where ProTexting.com was essential! The delegates used ProTexting’s technology to vote from their mobile phones. 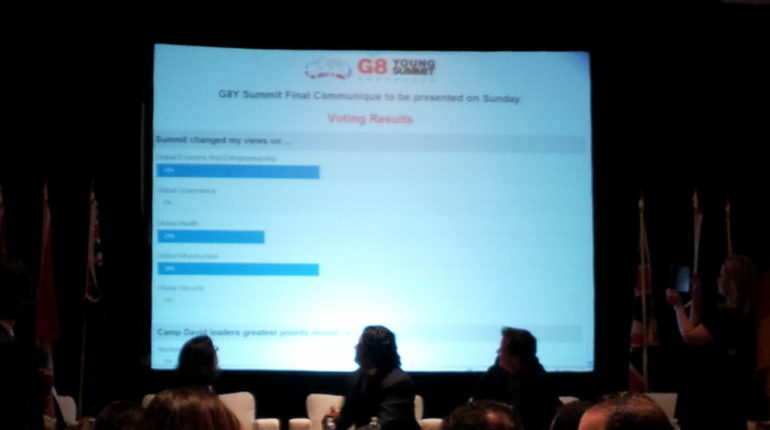 The use of mobile surveys and voting made a difference in the outcome of the Summit! The Summit delegates achieved nearly 100% participation. The voting results were quickly tabulated electronically. 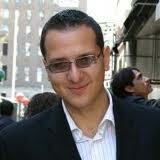 ProTexting’s sophisticated backend ensured the integrity of the data. Every type of mobile device participated in the survey and voting process. Real Time results were immediately shown to all delegates on a live screen. All of the voting results of the G8 Young Summit could be immediately seen by participating delegates. The voting results quickly showed that the number one ranked issue focused on the Global Economy and Entrepreneurship. ProTexting became an integral player in facilitating the speed of accurate communication. There are many different ways mobile can be used to support leadership at summits and think-tanks. Finally, it is important to note that it did not matter what type of mobile device the delegates used to vote. The Final breakdown established the following percentages by device: iPhone 55%, Android 12%, BlackBerry29%, Other4%. It is great that ProTexting could be involved with so many young world leaders and to provide the platform for them to vote on what matters to them. ProTexting.com played a critical role in helping these leaders to present their views to the global G8 member country leaders. We are very proud that our technology is playing a role in how global innovators and change makers will impact the entire world of today as well as the world of the future. We are especially proud of the fact that the G8 Young Summit is shaping our young people to be the leaders of tomorrow! —Kalin J. Mobile voting can be very useful to organizations that require voting often in order for decisions to be made. Time is money, so to be able to skip the meeting and simply have everyone text in their vote would be a great solution and time saver.